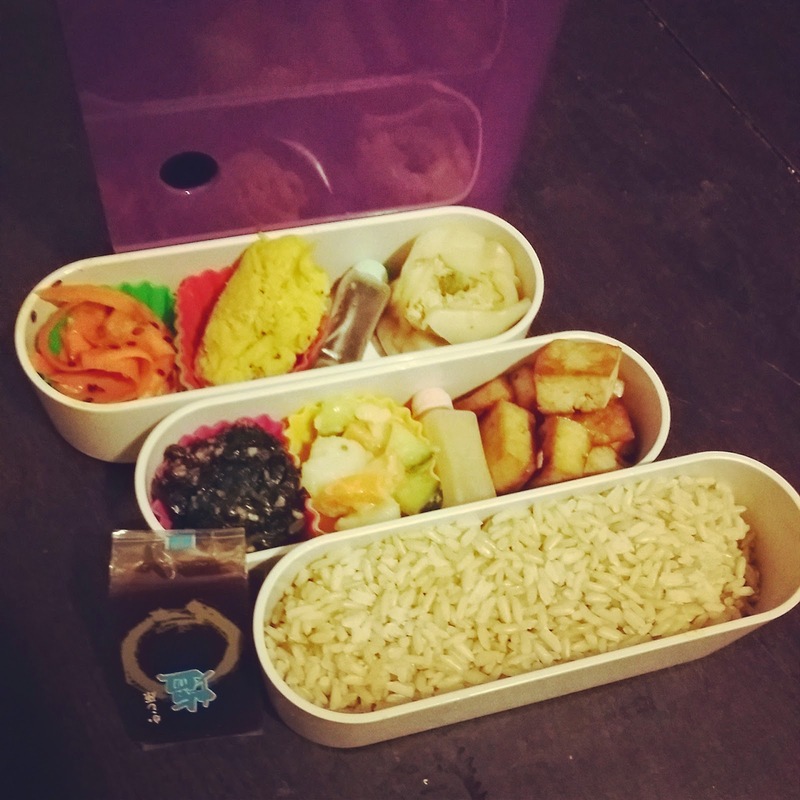 So lately I've gone on a bit of a bento binge. 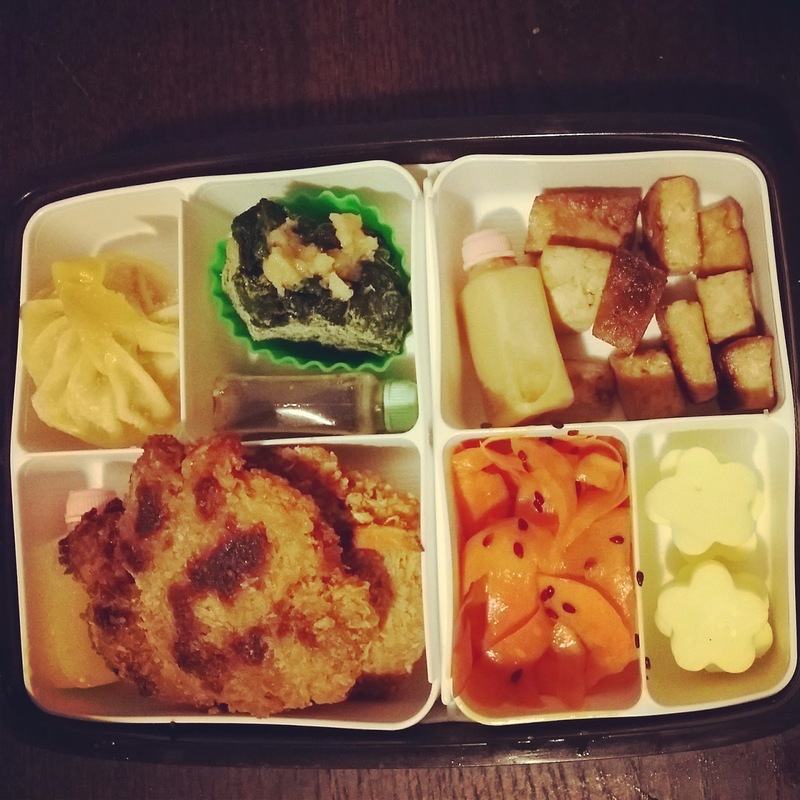 Watching lots of anime has inspired me to cook more japanese food, and to buy more bento boxes. 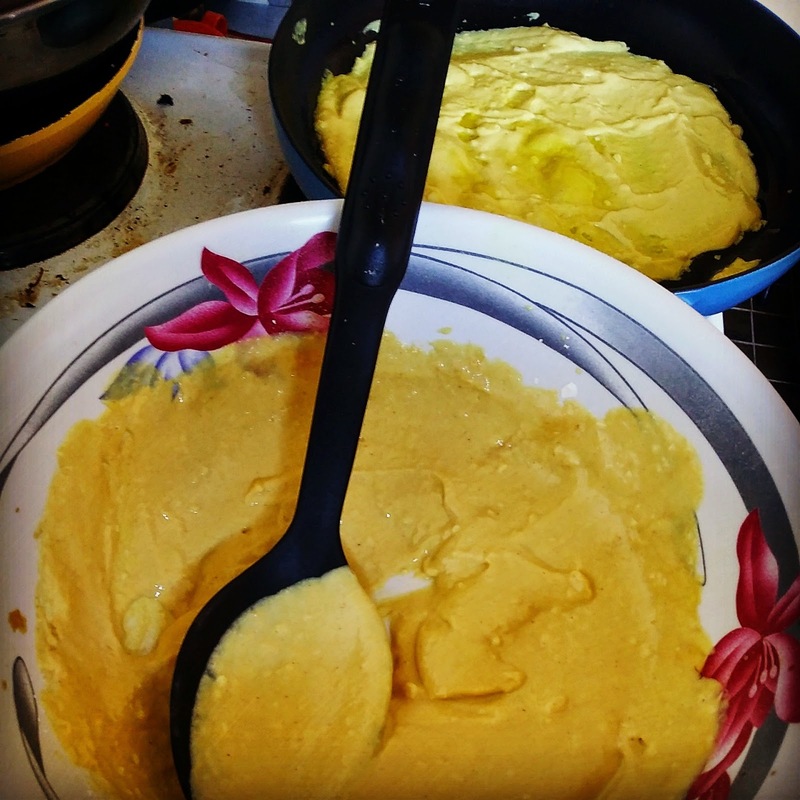 (My favourite sites are Bentoland and Bento and Co). 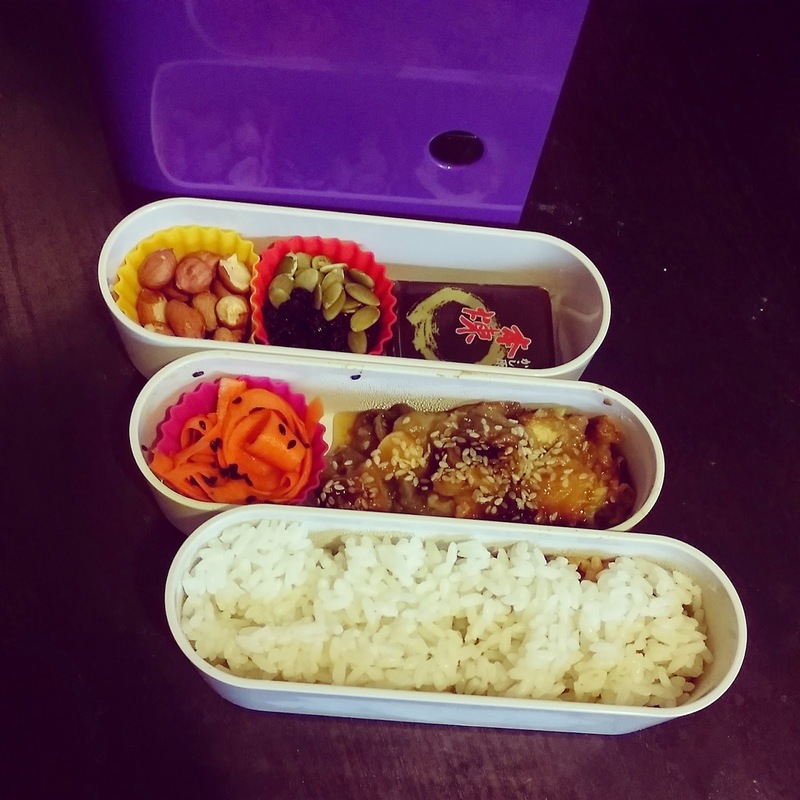 I recently bought a shikiri compartment bento (pictured below) and an adorable book-shaped one. 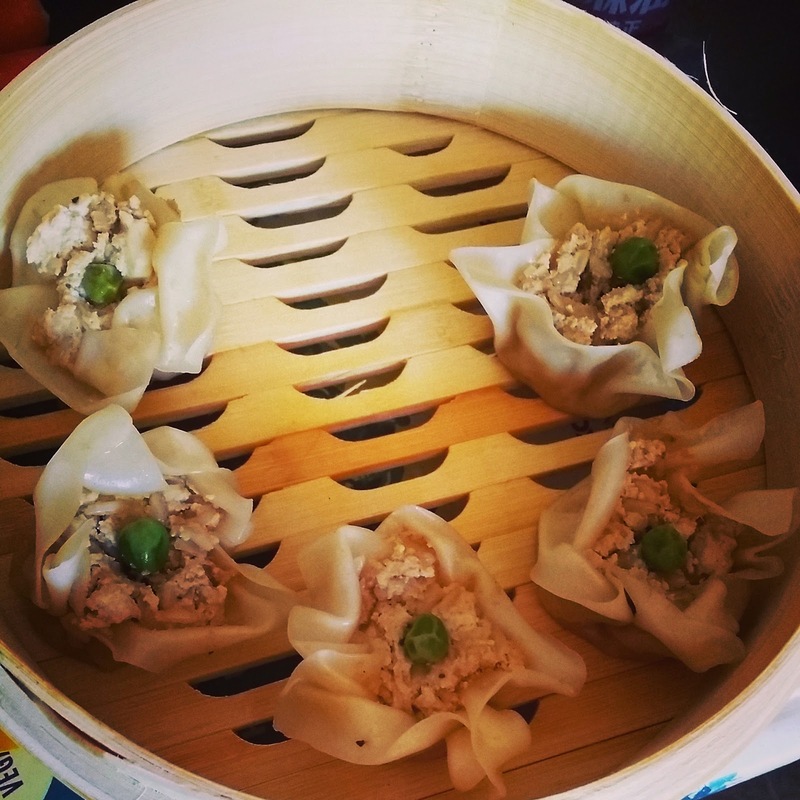 So while I haven't cooked anything new this week, I have enjoyed yummy lunches packed with various dishes I made during a day-long cooking frenzy last weekend. Peanuts, currants and pumpkin seeds, easy sesame carrot salad, nasu dengaku eggplant, and rice. Carrot salad, tamagoyaki, shuumai dumpling, garlic spinach, Japanese potato salad, soy-lime tofu with coconut peanut sauce, and brown rice. 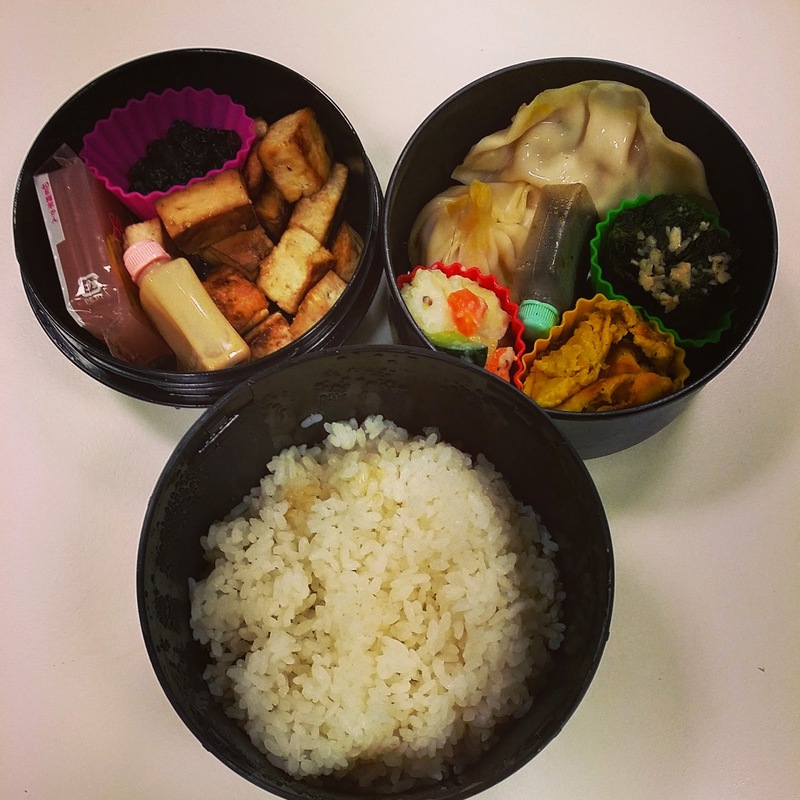 Imo yokan jelly snack (from Daiso), tofu, currants, potato salad, spinach, tamagoyaki, pumpkin water chestnut wontons, and rice. 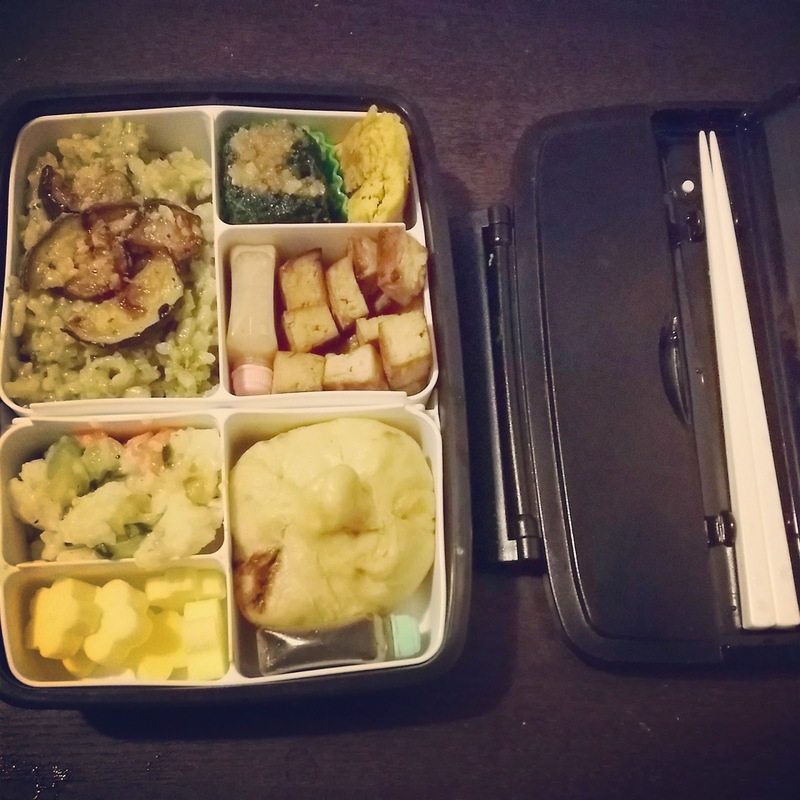 Pesto risotto with garlic roast zucchini, spinach, tamagoyaki, tofu, potato salad, Bio cheese flowers, and mushroom steamed bun. 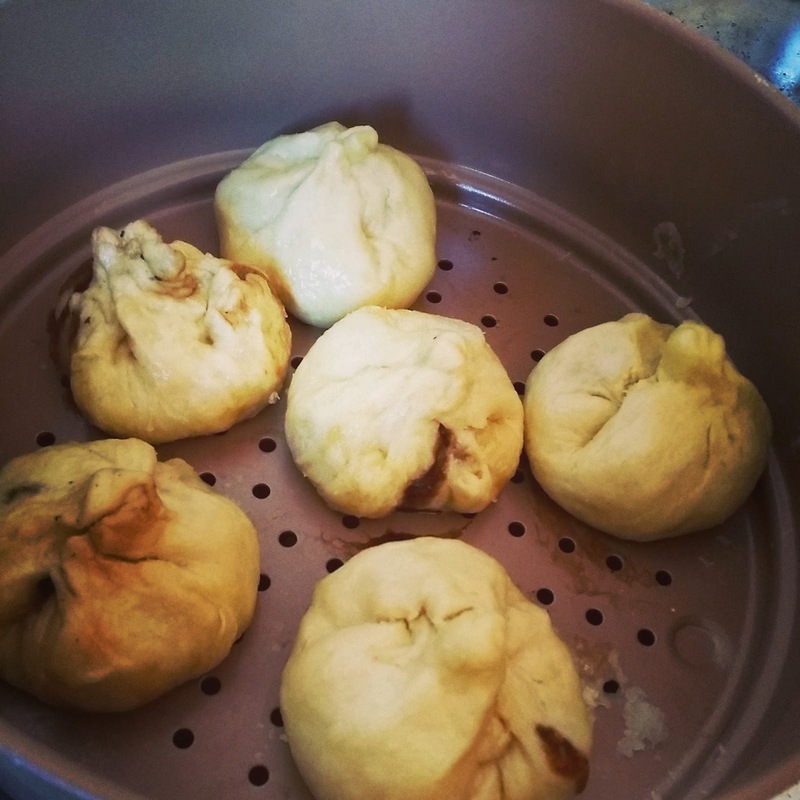 For the buns, I used the sauce from Terry Romero's BBQ seitan buns to cook the mushrooms in, and the simple dough from Jamie Oliver that I featured in the Tofu Dim Sum post. The dough for these is genius in its simplicity, the only hard part is getting the bloody things closed so they don't leak! Pumpkin wonton, spinach, tofu, Bio cheese, carrot salad, and sweet potato latkes with apple sauce. 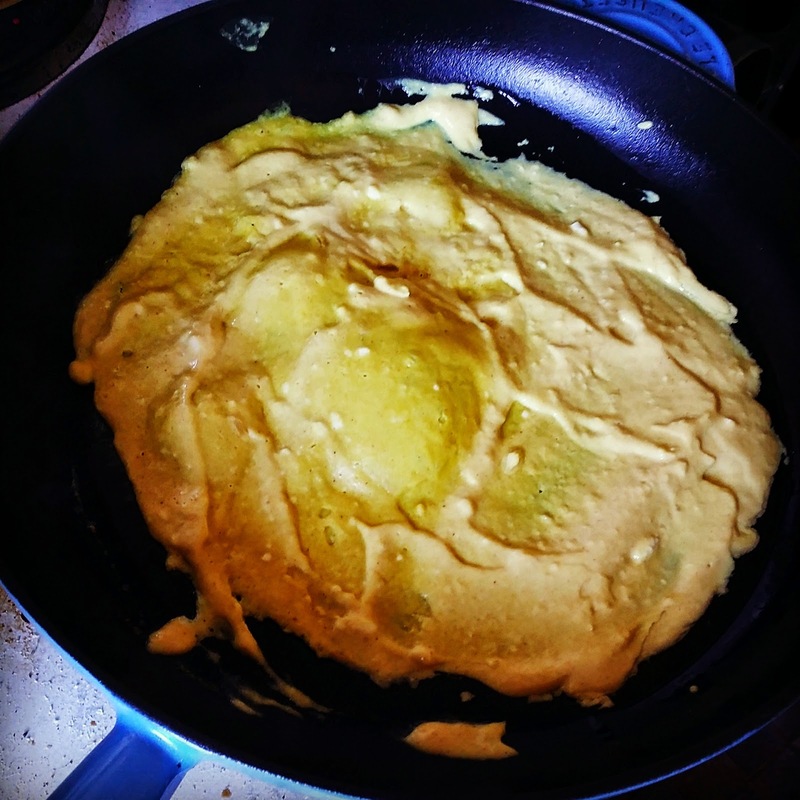 I used Isa's regular latke recipe for these, swapping some of the potatoes for sweet potatoes.